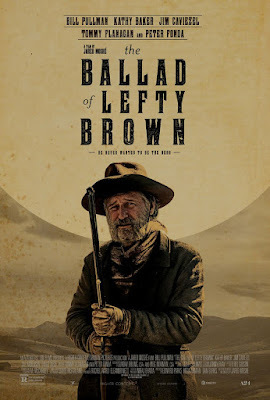 I am not sure what I truly feel about THE BALLAD OF LEFTY BROWN. It is a film that is uniquely and wonderfully it's own film. It is a film I have mixed emotions about which I think makes it a much better film than if I loved it across the board. I say this because by not being sure what I think about the film I am forced to engage with it that merely liking it would never allow. Montana has just become a state. Rancher and marshal Edward Johnson (Peter Fonda) has been elected Senator. While he is only days away from eading to Washington he is still hunting don bad guys much to the chagrin of his wife (Kathy Baker). 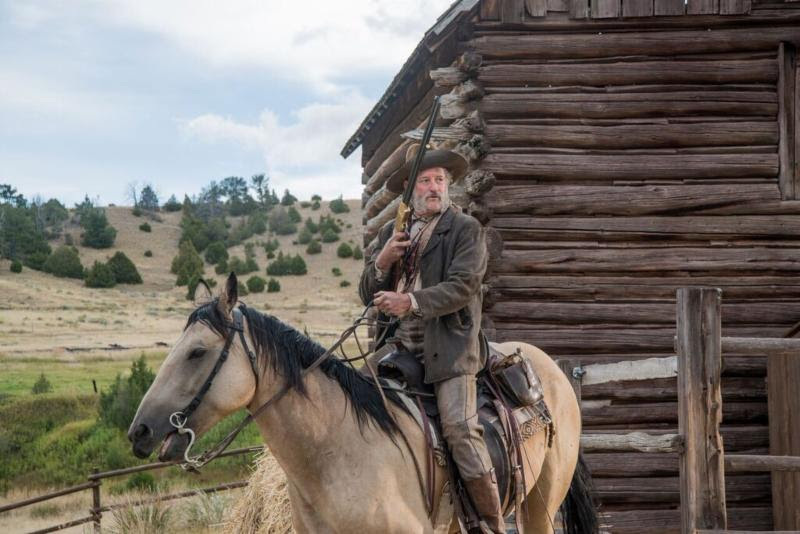 When horses are stolen from his heard Johnson and his partner Lefty Brown (Bill Pullman) ride off the reclaim them. Ambushed, Johnson is killed and Lefty is left for dead. Taking his friend home Lefty is wracked with guilt at the thought he could have saved his friend. Needing to do something he heads off to get the men who killed Johnson. No one expects Lefty to accomplish anything since he is viewed as little more than a loyal lap dog and not really capable of anything. Unfortunately for Lefty fate and an unexpected adversary are against him and will stop at nothing to get what they want. Coming out of SXSW the film was hailed by some as a reinvention of the western genre and unique in taking the point of view of the typical sidekick. While the latter is more or less true I don't think the first part is. There isn't a great reinvention of the genre, we've seen most of the themes and twists before, so any reinvention is simply a rediscovery of a less cynical nature regarding the western hero. Pullman's Lefty Brown is a weird creation. He is what we would imagine some the great western side kicks like Smiley Burnette, or George "Gabby" Hayes might be later in life. A bit inept but intensely loyal Lefty is always at his friend's side. However Lefty is actually much more complex. For certain he is loyal but there is a sense that he once was somebody. Something in the past made him company for great men such as Johnson and the others that criss cross his path. Lefty also has a perfect moral compass that sets him on his path for revenge. He will do the right thing and see justice done no matter the cost. There is no black and white. This moral correctness throws him back to the great western cinema heroes like Hopalong Cassidy, and many of the characters that crossed the program westerns of the 30's 40's and 50's who did the right thing regardless. Even Lefty's final act before riding off is absolutely keeping with his code of justice because he had to be the one to finish what others had started and because it was, ultimately, the only way real justice would be served. I find it funny that because director Jared Moshe has raised the old western archetypes and mixed them up slightly, many writers who probably don't know the depth of western history think there is something new here. There really isn't, it's simply the old hero redressed. (Think of him as a little more goofy version of Jimmy Stewart's Destry but willing to use a gun). Moshe clearly knows his western cinema and he as a good time playing with the tropes much to delight to the western lover inside of me. Moshe has a great many themes and ideas bouncing around in the film. Notions of justice and revenge mix with those of loyalty, greed, reality vs legend and a good chunk of every western theme you can think of short of romance. Dressing them up with modern day blood, language and complex human relationships the film seems at times incredibly fresh. For example when was the last time you saw a wife really hate her husband's partner purely out of jealousy? I really like the film a great deal-there is much to enjoy from the action sequence to the great characters to the fact that we can revisit old visions of a well worn genre in a modern film..I just hate that I like the film and don't love it. The problem for me is the film is very mannered. Jared Moshe has a vision and you either go with it or you don't. Despite opening on an action sequence the film doesn't really get it's footing for about a half an hour as characters are set up and events are set in motion. The languid pace kind of works against the film. As does the insistence on making Lefty seem more a comic relief sidekick as opposed one of Hopalong Cassidy's stronger ones or Al St John in the Lash Larue series who could be humorous without losing their edge. Its a gambit you either buy or don't and the choice to play him as they do really makes you wonder if he would have survived as long as he has. Problems with the character aside Bill Pullman makes the role work. 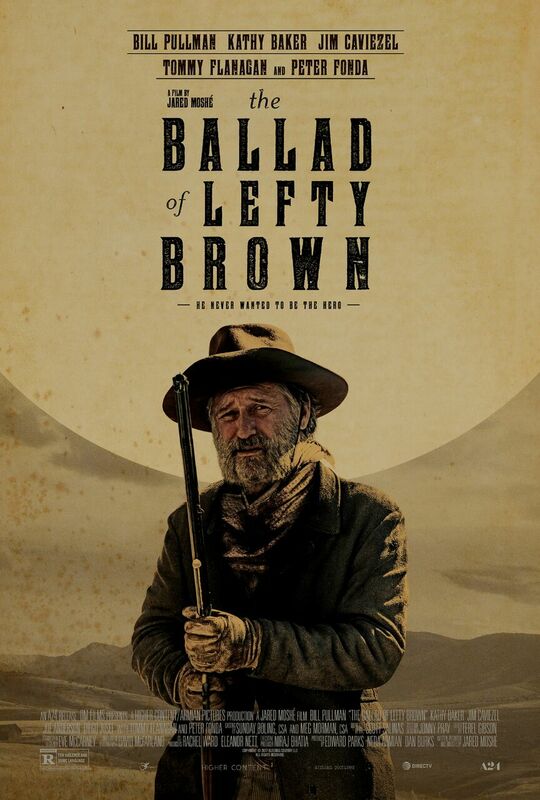 Investing Lefty with the strong moral sense and the sense loyalty is what makes the character believable. If Pullman had wavered in his resolve we would never have bought the fact that he makes the journey to justice through what amounts to a force of will. We buy the character because of Pullman's force of personality and it keeps the film from falling off the table.